Caption: Stretch run, on lead, Crown Queen with John Velazquez wins the Queen Elizabeth II Challenge Cup (gr. 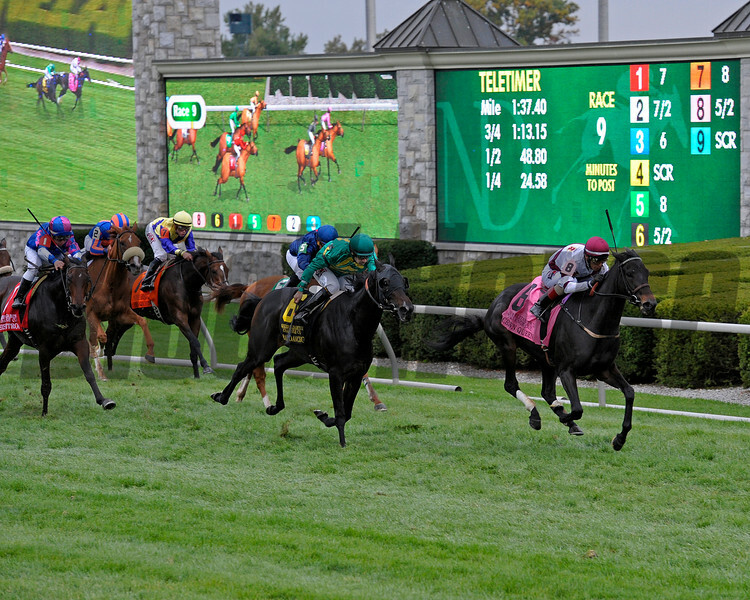 I) at Keeneland near Lexington, Ky., on Oct. 11, 2014. Ball Dancing #6 in second.